When you get to the point in your marketing when you can follow the inspiration for today, you are practicing the concept of the Infinity Marketing Machine. 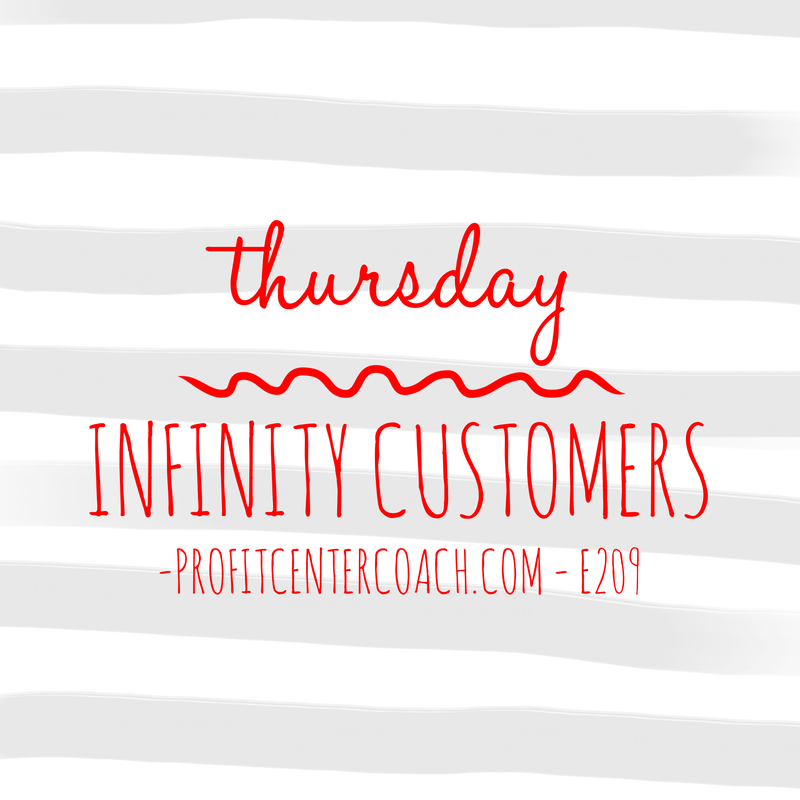 This is when you work hard to create customers and move from the concept of “one and done” to the concept of “infinity customers” that is… customers that stick around and buy things from you… over and over and over! It’s not hard, but you have to decide to make the shift. After you decide you begin by collecting the basic information on your customers, such as first name and email… you might say, “I already have this” – you probably do! Start today, develop a way to grab this information as customers enter your store or website, today… then go back to your recent sales and catalog this information. From these two basic sources you will have a good start. Now… keep this in mind. As you are collecting information make sure to categorize by profit center. Because, while they will enjoy hearing from you… let’s say you are a convenience store with a car wash. Customers that get their car washed may be different from those that buy cookies, like if the cookie buyer is 14 without a car! The reason this might matter is when it comes to crafting your future messages and looking like your relate to your customers. For example… I started this process this past summer and we have customers that own boats and customers that rent boats. These are two different categories! When sending emails, it wouldn’t make sense to send “engine repair specials” to the boat renters. In fact, it might cause them to unsubscribe. Here’s how this all goes full circle with today’s quote… let’s consider inner tubes. (get it? Circle?! Haha) – I sent out an email with an inner tube sale. I did it this summer and sent it to my list of boat owners. It did fantastic! I sold a whole bunch. Instead of placing an ad on Facebook, I targeted my current customers. Instead of thinking, hey… here’s an inner tube I’d like to sell, I’ll go on Facebook and target women around 35 years old with kids that own a boat and try to push an ad on their feed and see what happens… I just created an email and sent it out to my current customers because I thought, “hey… this is a product that they could use. 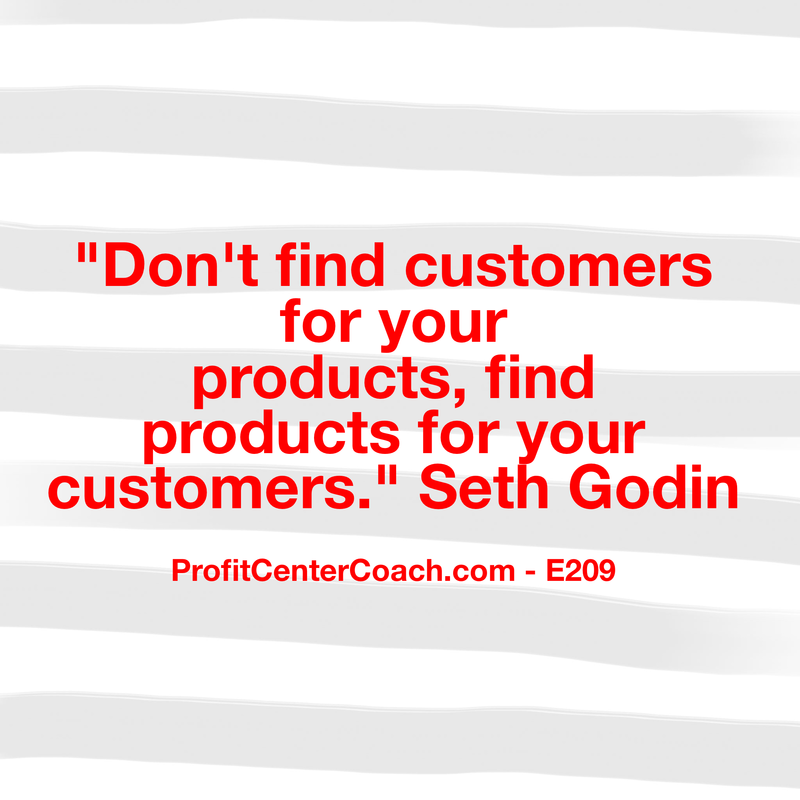 I found a product FOR my current customers, instead of finding customers FOR my product. This is a big shift in marketing. This is the Infinity Marketing Machine. Create your own database that is full of people that like and trust your business, provide them information to further build trust, and finally sell them items they want. Go. Create your Infinity Marketing Machine. 1- Capture the names/email from current customers in your store or on your website… then go back through your records of purchases and get this information — make sure to categorize by profit center! This is the foundation for your Infinity Marketing Machine. Episode #208 – Go Create Magic… Just Like a Zen Walk and Oreo Cookie Ice Cream! Episode #210 – Stop Making Excuses Or You’ll Wonder What Happened!